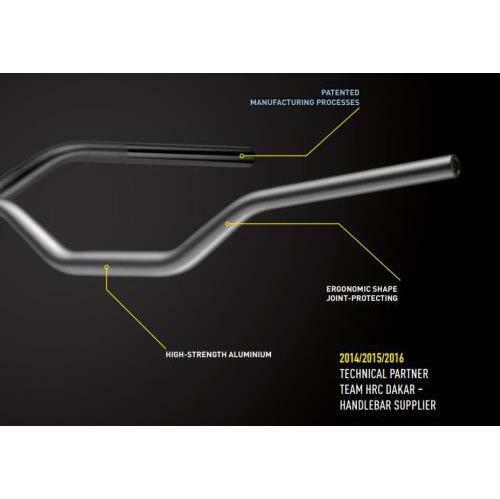 Magura’s X-Line bulge bars are a highly engineered blend of strength and flexibility. In Magura’s own rigorous durability test, these bars have proven to be the strongest tapered bar available. The tapered alloy walls are light and stable and help reduce rider fatigue. A ball-burnished finish adds increased durability. These bars are as strong as any bar on the market today and all within a reasonable price. Choose from multiple bends to satisfy virtually every rider’s specific style.